Home > Sewing Machines > Janome Sewing Machine >Janome Atelier 6 Computerised Sewing Machine. Normally £1099, Save £200. Includes FREE JQ7 Quilting Kit Worth £185. Janome Atelier 6 Computerised Sewing Machine. Normally £1099, Save £200. 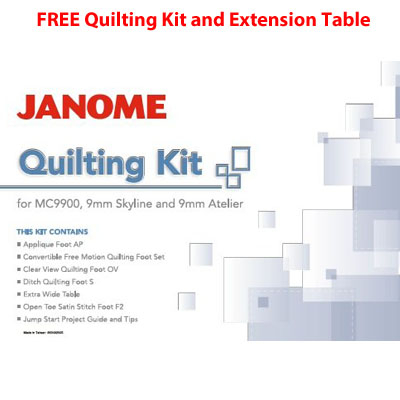 Includes FREE JQ7 Quilting Kit Worth £185. 0% Finance AvailableUse the finance calculator to break up your payments into monthly installments. Click here to calculate finance payments. Unsure of what machine to go for? Call, email or chat. We will be more than happy to assist! 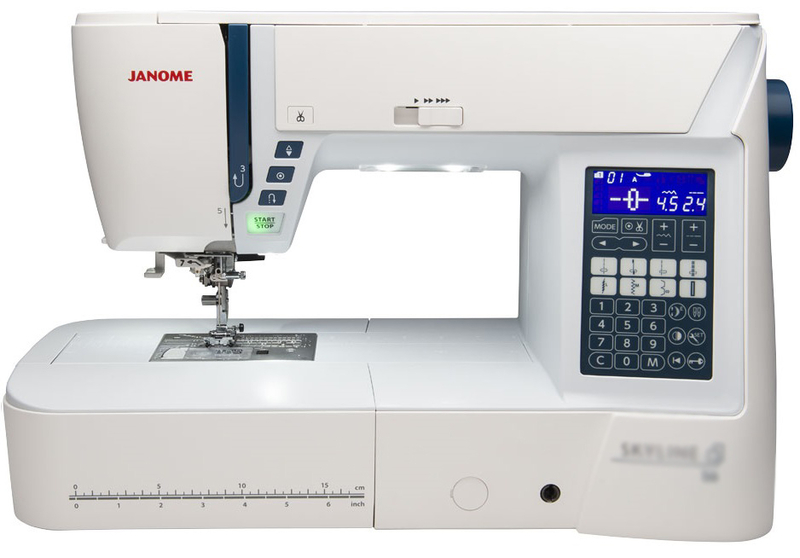 The Janome Atelier 6 is a dependable and sturdy machine ideal for all your sewing desires. The Janome Atelier 6 includes the features to take your sewing to a new level.Such as the added arm space this is measured at 8.3”, ideal for larger quilts and larger home furnishing projects. A wide selection of features with the Janome Atelier 6, with a selection of 196 built-in stitches including alphabets and numbers, an automatic one step buttonhole with 10 different styles to choose from, plus fully adjustable stitch length and width. Additional special features of the Janome Atelier 6 includes 6 bright white LED Lights for shadow free sewing, this powerful machine can reach up to speeds of 1000 stitches per minute, a superior 7 piece feed dog for precise feeding and a touch information screen. 196 Built in stitches, including alphabet and 10 one step buttonholes. 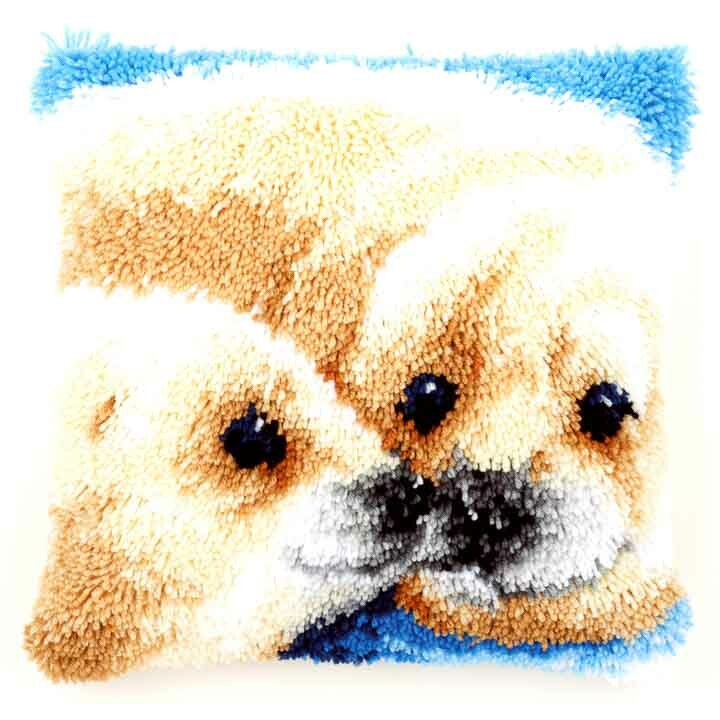 Variable Stitch Width & Length - Stitch Length 5mm, stitch width 9mm. Drop Feed Facility – For Freehand Darning and Embroidery. The Brother Innov Is NV1300 is a top loading computerised machine, which can work with a huge selection of fabrics, from the thickest denim and heavy velour to delicate silks and chiffons. This machine is well balanced for every type of sewer, whether you’re a beginner or experienced. The NV1300 comes complete with an exceptionally generous work space with 21cm to the right of the needle. The Brother NV1300 has 184 built in quilting, utility and decorative stitches and 10 automatic one step buttonholes for creative projects (ideal for quiltting & dressmaking). You’ll love the smooth, accurate feed from Brothers advanced Square Feed Drive System. Now you can safely save your own decorative stitches to the machine memory and with Direct Stitch Selection you can simply key in the stitch number you need. Other features include automatic thread cutter, speed control slider and Stitch Length & Width control. The automatic upper thread tension which automatically senses the thickness of the fabric and adjusts to a suitable thread tension. The knee lifter allows you to lift the presser foot and drop the feed dogs without taking your hands off the work. This is useful for quilting, sewing around curves and applique. Bring fashion to life... 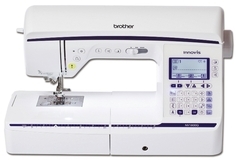 The Brother Innov Is NV1300 is a top loading computerised machine, which can work with a huge selection of fabrics, from the..
Hand painted large-hole mono canvas, 52% cotton 48% polyester - 18 holes/10cm, 4.5 stitches/inch. 100% thick acrylic yarn (cut packs). Latch hook tool..
Janome Atelier 7 Computerised Sewing Machine. Normally £1299, Save £100. The Janome Atelier 7 is a consistent and reliable machine suitable for all your sewing needs. The Janome Atelier 7 has so many easy use features such as the added arm space which is measured at 12”, ideal for larger quilts and larger home furnishing projects. A Selection of 240 built-in stitches including alphabets and numbers, an automatic one step buttonhole with 11 different styles to choose from, plus fully adjustable stitch length and width. 240 Built in stitches, including alphabet and 11 one step buttonholes. 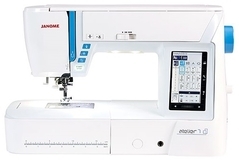 The Janome Atelier 7 is a consistent and reliable machine suitable for all your sewing needs. The Janome Atelier 7 has so many easy use features such.. Brother Innovis NV1800Q Computerised Sewing Machine. Normally £1299, Save £300. Whether you are just starting out or you are a competent sewer, the Brother Innov Is NV1800Q Is balanced for any level of sewing you are at. It’s a machine that lets you include your own creativity into sewing and quilting. Work with a huge selection of fabrics, from the thickest denim and heavy velour to delicate silks and chiffons. The Brother Innovis NV1800Q has plenty of advanced features offering plenty of versatility such as the 232 built in stitches, 10 buttonholes styles and 5 fonts, the NV1800Q is perfect for plenty of projects such as fashion, dressmaking, home furnishing and more. The NV1800Q also comes complete with an exceptionally generous work space with 21cm work space to the right of the needle. You’ll love the smooth, accurate feed from Brothers advanced Square Feed Drive System and now you can safely save your own decorative stitches to the machine memory and with Direct Stitch Selection you can simply key in the stitch number you need. Space is key when it comes to quilting and this machine does not disappoint with its extra wide table. Big projects will be easy to guide through while stitching. The useful pivot function allows the fabric to be turned while the needle is down, which makes manoeuvring the fabric easy and stress-free. Other features include automatic upper thread tension which automatically senses the thickness of the fabric and adjusts to a suitable thread tension. The knee lifter allows you to lift the presser foot and drop the feed dogs without taking your hands off the work. Lock the stitch by automatically reversing at the start of the seam with the lock stitch button. A Quilter's Dream... Whether you are just starting out or you are a competent sewer, the Brother Innov Is NV1800Q Is balanced for any level of sewing..